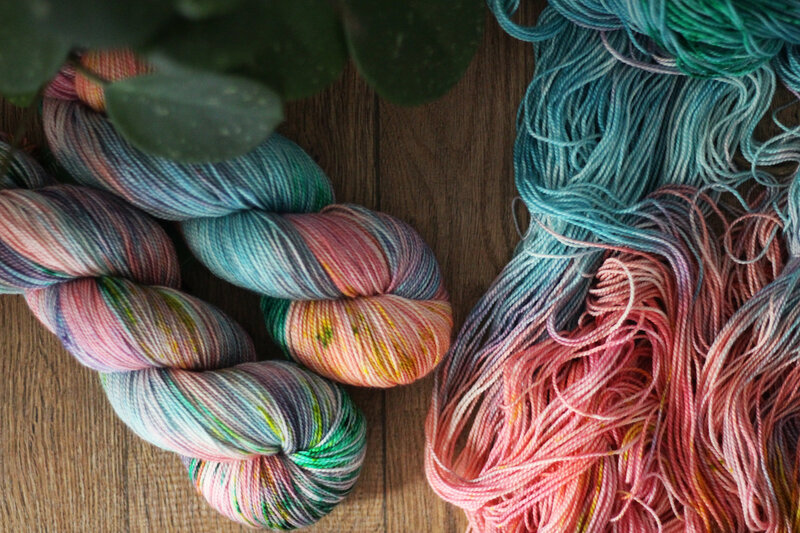 Spring has sprung and knitting something light and airy should be on your list of things to do. 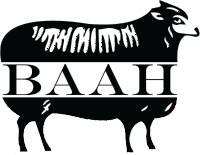 And what is more suitable for the task at hand than Baah’s limited Color Of The Month “May ‘18”, you may ask? Well, uh..nothing, actually. We’ve thought long and hard about that question and after careful consideration and deliberation, we came to the obvious conclusion that “May ‘18” is the perfect choice for any spring project you can dream up. Shades of fuschia and peach with hints of lilac and bold pops of emerald contrasting with pools of blue and teal, “May ‘18” was inspired by the unique beauty that is only offered during this particular time of the year. Spring heralds the return of the Sun’s warmth, the renewal of life, and the reappearance of color all around us. This weekend only, get this pattern from Ravelry for 50% off! 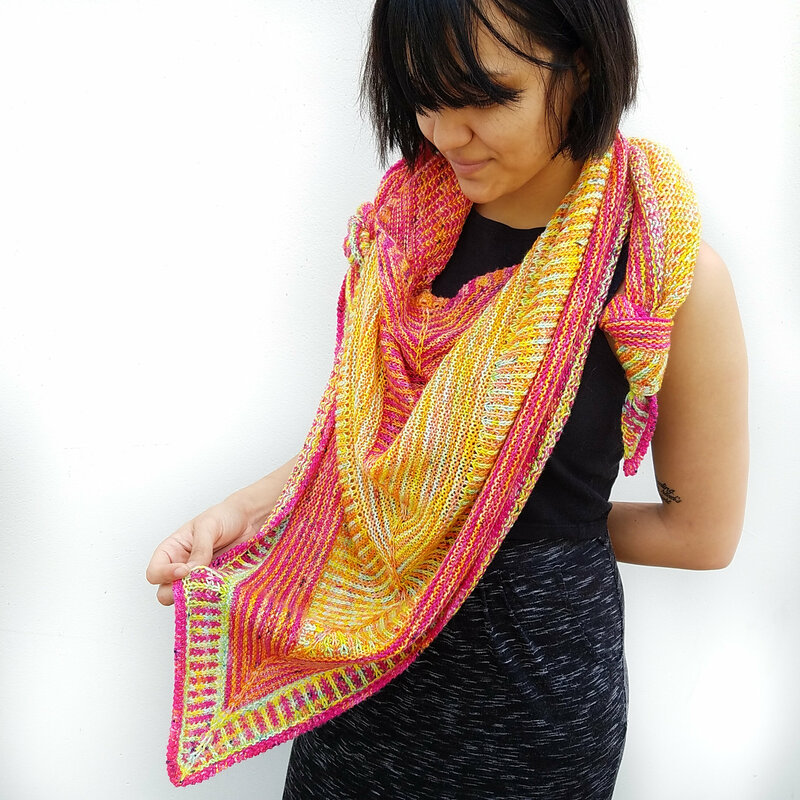 This vibrant shawl is made from Baah Yarn La Jolla in the colors Georgia Peach, Pink Promise, and California Coast. 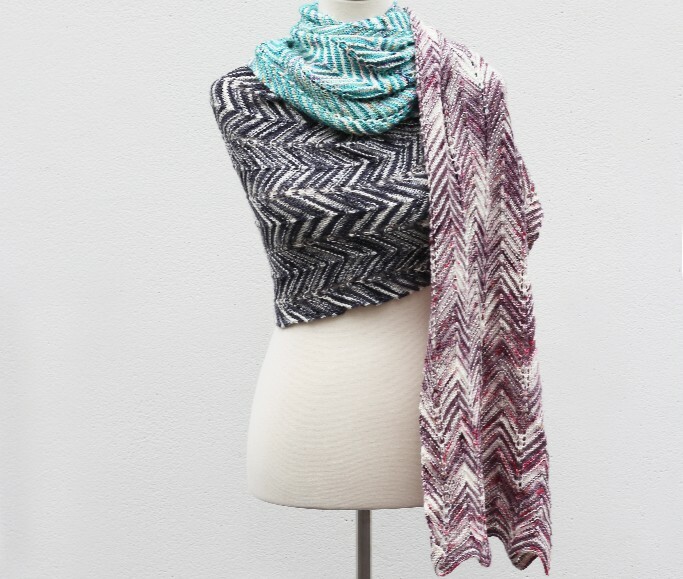 This pattern uses 3 skeins of Baah La Jolla. Try out this classic pattern, as seen on Ravelry.